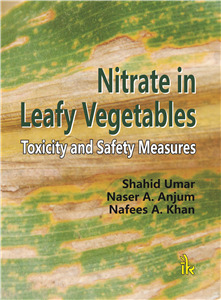 Naser A. Anjum | I.K International Publishing House Pvt. Ltd.
NASER A. ANJUM is Post-Doctoral Scientist at Centre for Environmental and Marine Studies (CESAM) & Department of Chemistry, University of Aveiro, Aveiro, Portugal. Dr. Anjum obtained Ph.D. in Botany from Hamdard University, New Delhi, India. 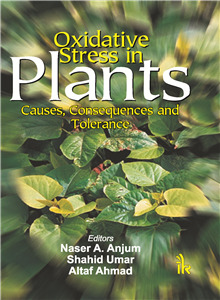 Dr. Anjum’s research works are concerned with Molecular Plant Stress Physiology emphasizing the significance of plant mineral nutrients in abiotic stress tolerance. He has to his credit significant number of research publications. Dr. Anjum has also worked as Fellow and Associate of the University Grants Commission and the Council of Scientific & Industrial Research, Govt. of India, New Delhi, India and Agricultural Biotechnology Research Center (ABRC), Academia Sinica, Taiwan. Earlier, he was awarded the DS Kothari-Fellowship by the University Grants Commission, Govt. of India, New Delhi. The research of Dr. Anjum has been recognized internationally, and his name has been included in the 2009 Edition of Marquis Who’s Who in the World, USA.